If you wanted the perfect blueprint for a kid’s sports movie, you’d look to Mighty Ducks. It has it all; a reluctant coach, comic-relief kids alongside others who are noble, full of heart and positive spirit. It also has the bullying kids who play for the other team and are coached by the “villain” of the movie. Add in a tense, predictable final game and you can show this to anyone writing their own sports film aimed at pre-teens. This doesn’t necessarily make The Mighty Ducks a good movie though. Age has not been kind to the movie and it clearly comes from a time when movies aimed at kids were not given the same care and attention they would be given today. 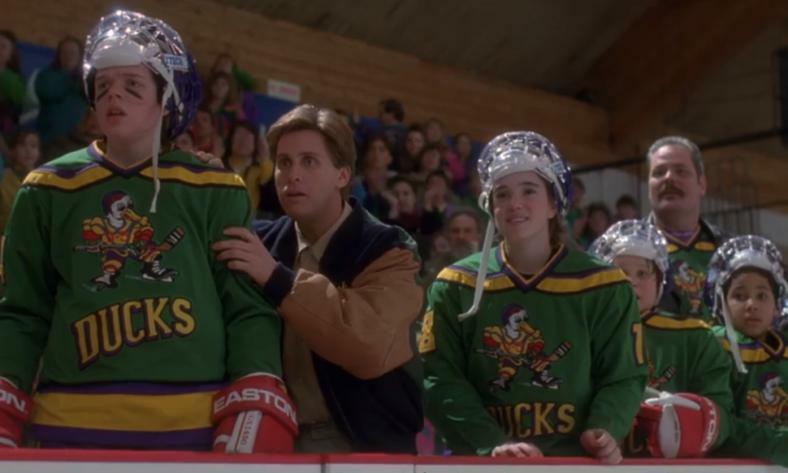 Mighty Ducks never feels like it is anything more than a Sunday afternoon Main Feature on The Disney Channel than an actual theatrical movie release starring Emilio Estevez and Joss Acklund. The dialogue is cringe-worthy. Everyone talks in “come-backs” and one-liners and those lines are not funny. Add to this the tame insults which are used as if you have mortally wounded the honour of the other, most specifically “cake-eater.” These kids, even for the early nineties, are not recognisable in any real world. This continues into the way that Pee-Wee Hockey is treated as the most serious sport in America. It makes the front of newspapers when a team of nobody’s wins a league game and a Pee-Wee coach mocks a lawyer for not “making-it.” You are required to watch the film with your tongue firmly in your cheek and with little expectations but it is difficult when the film is this silly. Luckily for Mighty Ducks, the best of the kid’s sports movie tropes are done so well that it almost out-shines the worst of the film. The characters are irritating and fall into all the usual stereotypes (the geek, the every-kid, the every-girl, the fat goalie, the bully made-good) but this forms some scenes which work effectively, particularly when the kids are bonding outside of a match. This pigeon-holing of characters works most effectively for the villain. 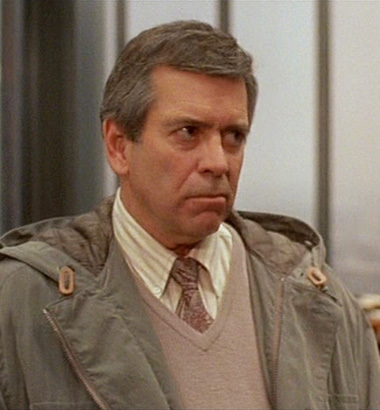 Played by Lane Smith, he has the perfect evil smile and is all minor villains turned-up to 11. It means you really want to see him and his team fail, which means you are rooting for The Ducks going into the final. Which takes us nicely to the sport itself. 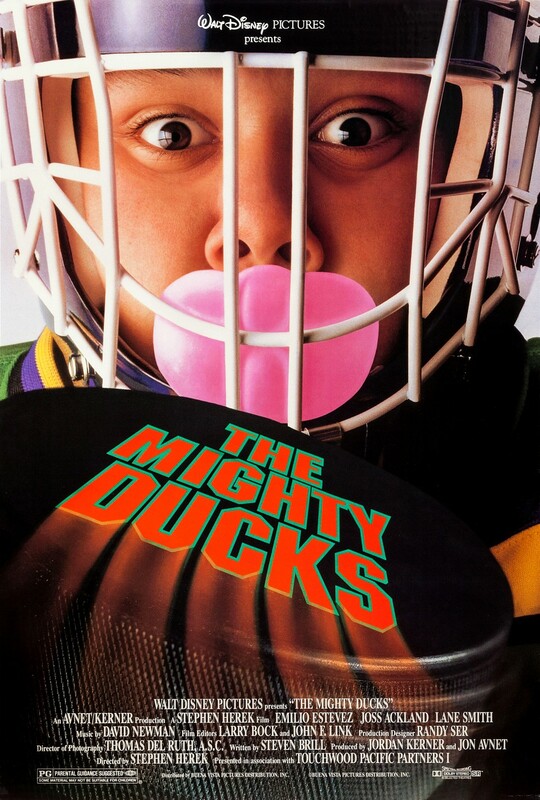 Mighty Ducks is about Ice Hockey (although the stereotypical sports movie format means it could work with any sport). Here the strengths of the movie shine. The Ice Hockey is staged very well with some great moments and punch-the-air goals. The tactics used by The Ducks means that the film caters for people who don’t watch Ice Hockey and makes the matches themselves very accessible. It also helps when the final game comes around and you are rooting for The Ducks. 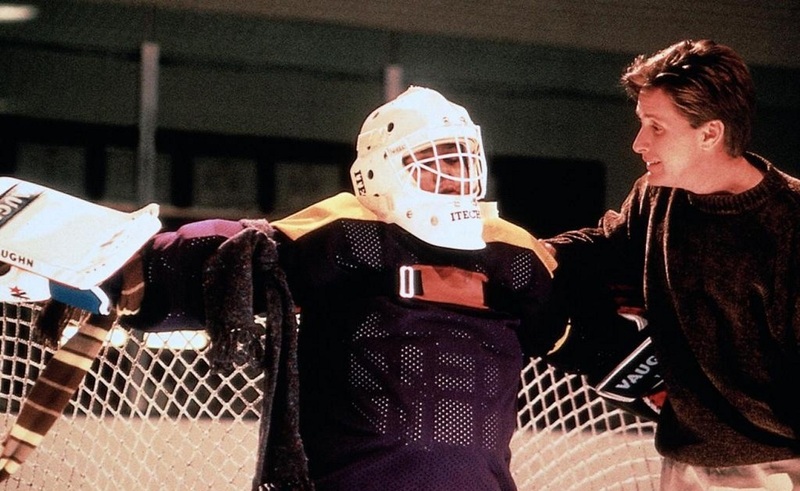 The film so effectively builds the hatred for Lane’s Coach Reilly, albeit through tactics far too serious and extreme for Pee-Wee Ice Hockey, that you are cheering with every goal the Ducks score. It also means you forgive the clearly signposted ending and fairly predictable outcome of all the proceedings. Overall, The Mighty Ducks ticks all the sports movie cliches it aims for which works for and against it. At times it is infuriatingly out of touch and has aged badly. At other times you are rooting for the titular team and sucked into the obvious, predictable action.